To receive a CNA certification in California you need to know what the requirements are if you are seeking a job as a nursing assistant . Getting to know what educational accomplishments will be needed in will definitely help you beforehand to prepare well for a career in this health care opportunity. According to California state rules, the different educational levels which could apply for a training course would range between those who have a high school diploma, an associate’s degree, or a bachelor’s degree in dental hygiene. There are different prerequisites for the variety of different schools who offer courses in either technical, vocational schools or universities. Some training facilities even require previous experience in other forms of education which you may have to undergo. The state requires each nurse aide school program to offer at least 150 hours of training. This is the state required minimum and typically includes additional clinical training in order for one to complete the program. The student must be able to pass this program before applying for the license exam. There are some basic skills that should be covered in the program which will be tested when one takes the state nurse aide license examination. Depending on the school in which you are in, the training could take from about 6 weeks to 8 weeks including the practical training. 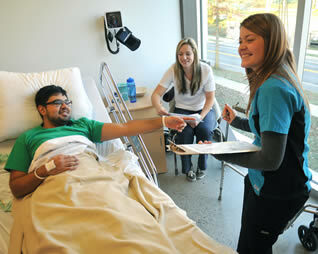 There are also websites who offer an online training program for certified nursing assistants. 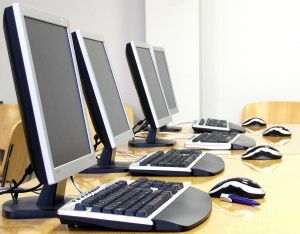 They will give you the course work online and the practical training shall be done on a simulated room that will look much like the environment in which you would work. After completing the program, you can now apply for the license exam. This will consist of a written or oral exam depending on the applicant’s preference as well as a demonstration of nursing assistant skills that should have been learned during the nursing assistant training program. One can take the two within a two year period and they can also take the exam three times within two years if they fail. If on the third however, they still failed, they will be required to undergo the training program again before they could be allowed to retake the exam. When you apply for the license exam, you would need to submit your official transcript of completing the school training, payment for your testing fees, completed application form, completed fingerprint cards, an ID photo, proof of immunization and other tests, as well as pass the state and federal background checks. The last is an important part of the requirements that would affect whether you will or will not be given the license to become certified to work. There are several misdemeanors and felonies which could affect the outcome of the board’s decision. You can contact the California Nurse Aide Registry to learn more. You can also apply for a nurses aide certification if you currently have a license from another state, and is presently on the roll or list of nurse aides in that state, and have not committed any act that may disqualify you from practicing as a CNA in that state. Click on this link to search the available CNA classes in California.